Update: What's your favourite Jan, Peter or Sopiko phrase? Update: Thanks a lot for all your submissions! We've already run a first test with the "commentator" and things are looking good. Free months of Premium Membership! What is Premium? Find out, and learn how you can earn two free months just by referring a friend! Banterthon is back – Svidler & Sopiko join! Nakamura & Carlsen! Who would have predicted it? Miss Strategy's Middlegame Show on Tuesday this week! 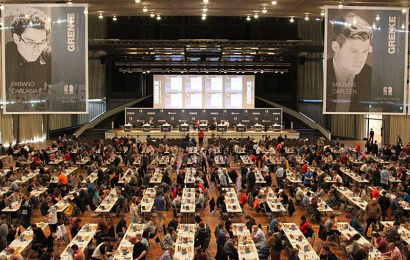 Predictions: Who will win Norway Chess?